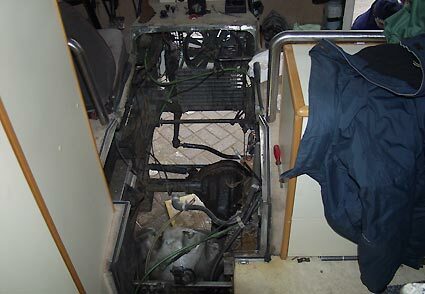 It was time to fix the overheating problem of our 101. 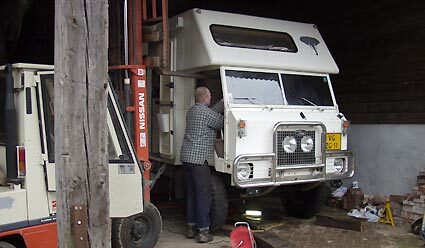 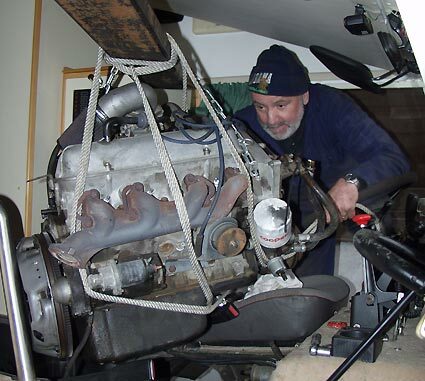 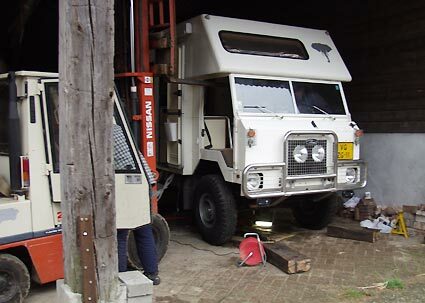 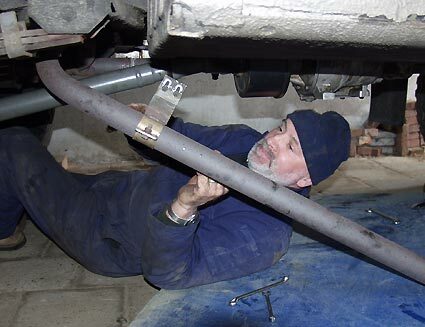 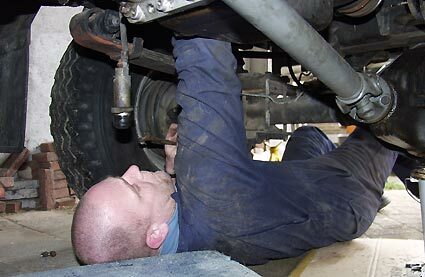 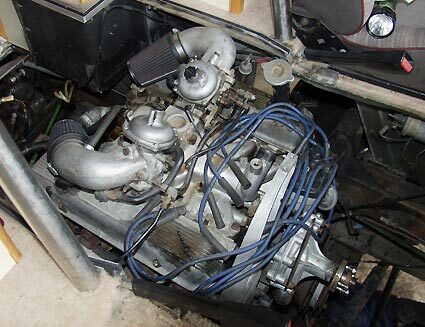 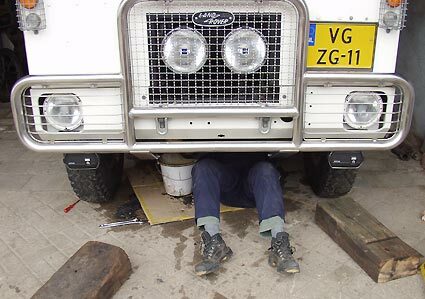 Har Jansen decided to do a diesel conversion so the V8 from his vehicle was available. 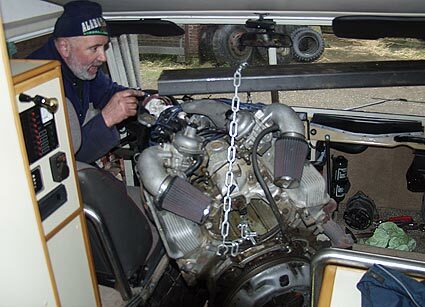 A very good engine with low milage. 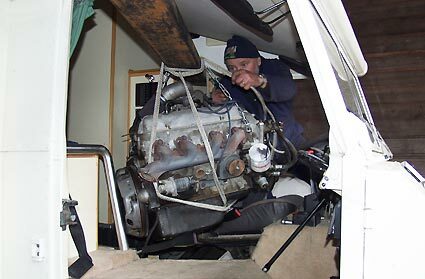 Together with Anjo Hoogendoorn we took the engine out.